Looking for a race to train for check these cool events out. 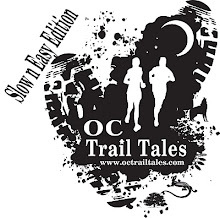 OC Trail Tales has custom training plans for every level to help you reach your goal. Your invited to run with us Every Monday Night at Road Runner Sports Laguna Hills @6pm. Run, Walk and Ride the Coasters for the Kids of Speech and Language Development Center. The Coaster Run offers a 5K Run/Walk, 10K Run and 1/2 Mile Kids Camp Snoopy Fun Run followed by a finish-line expo with a complimentary piece of Knott's famous Boysenberry Pie for all finishers. Packet Pick-Up, Start & Finish and Finish Line Expo are hosted in the Knott's Berry Farm parking area. Yea! All participants get a cool Knott's Berry Farm Snoopy finisher's medal. This medal is sure to be a collector's item. After the race don't forget to get your slice of famous Knott's Berry Farm Boysenberry pie. One slice per participant. Not ready to commit to the swim and the bike? Try the 3-Mile Trail Run Challenge. 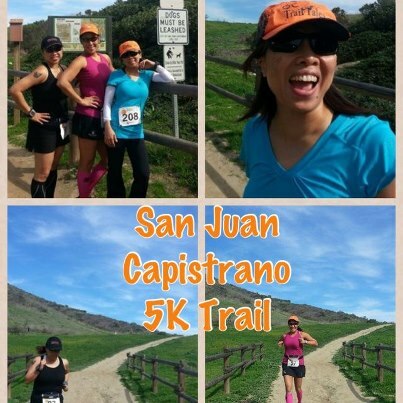 Beginners will love it for the scenic lake and forest views and experienced runners will enjoy the challenging trails. Don't just spectate, participate! Join Renegade Racing for Bike and Run Course Previews on Saturday Feb 9th and Sunday March 17th! Enter from the Via Verde on the south shore and make the first left at Eucalyptus. We'll meet in the parking lot. Carpool when possible; Bonelli Park charges $10 per car for parking. Meet at 7:45 am and be ready to roll for the bike course preview at 8 am. Run course preview starts when we get back from the bike course preview at about 10 am. This event is designed to heighten public awareness and raise funds for pediatric cancer research. A fun-filled family weekend is planned where both adults and children join together to support Pediatric Cancer Research Foundation's mission to raise funds to improve the care, quality of life and survival rate of children with cancer. 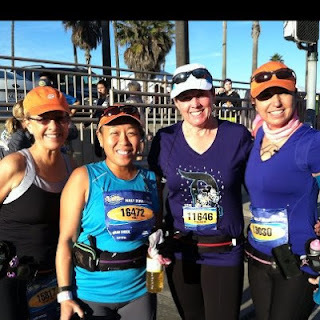 We will have the already popular USA Track and Field certified half marathon winding through Irvine's tree-lined streets and paths as well as the 10K and 5K runs (all chip-timed) and the 5K walk and 1K Kids Fun Run. The 50K and 50 Mile Bike Tours will take you on a journey through Santiago Canyon. Start/Finish festivities include many fun and informative booths, lots of food giveaways, exhibits, entertainment, games, face painting and kids activities. Click Here to go to the Reaching for the Cure Official Website. The half marathon, 5K and 10K both start in front of the Saddleback Memorial Medical Center and finish at the Laguna Hills Community Center. Honoring the United States Marine Corps Dark Horse Battalion. This favorite Memorial Day running event takes place in the beautiful Orange County cities of Laguna Hills, Aliso Viejo, Laguna Woods, and Laguna Niguel. Runners and walkers of all experience levels are invited to come out and enjoy the Memorial Day festivities! With a half marathon (13.1 miles), 5K Run/Walk (3.1 miles), 10K Run/Walk (6.2 miles) and a Kid's Run (1/2 Mile), there is something for everyone! All events and the Finish Line Expo will take place on Memorial Day, Monday, May 27, 2013. 7:00 am - Half Marathon, 5K, 10K start at Laguna Hills Mall. 9:30 am - The Kids Races start and finish at the Laguna Hills Community Center. For more information please go to their official site. Renegade Race Series is sponsoring the Marathon in May. Participants who run both half marathons will get a special I RAN A MARATHON IN MAY Finishers Medal at the finish of the Memorial Day Half Marathon. 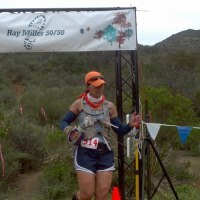 It's the best marathon in Orange County with the longest aid station between the first and second half of the race. Only here can you sit on your couch in front of the TV at the longest and best aid station in Marathon history! Once you register for both half marathons, send us a message at questions@renegaderaceseries.com so we can keep track of the Marathon in May Maniacs. Limited to the first 250 that RSVP and get on the list to guarantee yourself a medal. We are off to a running start this new year! Congratulations to everyone who just finished Tinkerbell, Surf City and Ray Miller 50/50! You guys are amazing! You have all been training really hard for your races and it is so awesome to watch you all transform. Some of you just did your first 5k, or 10k! Congratulations for taking your first steps into the running/racing world. It can be a bit intimidating and scary! Road races are huge, and everyone at packet pickup looks like a professional runner! Awesome job, you have succeeded in your journey. Some of you just finished your first half marathon. I know a year ago you would have not even believed it if i told you where you would be in a year. Great job! I hope you are all having fun on the ride. I know we are enjoying every minute. For those of you completing your second 50k, Congratulations! You are machines! You have taken those first steps, enjoyed your ride along the dark side train, and are continuing to enjoy your journey. I am happy to be along for your ride as well. Thank you all for being the best! 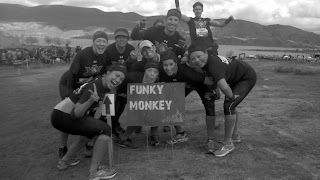 We are so proud of you guys, and love helping each and every one of you reach and attain your goals in running. You are all so awesome, and we really couldn't be more happy and blessed to have a running family like you.